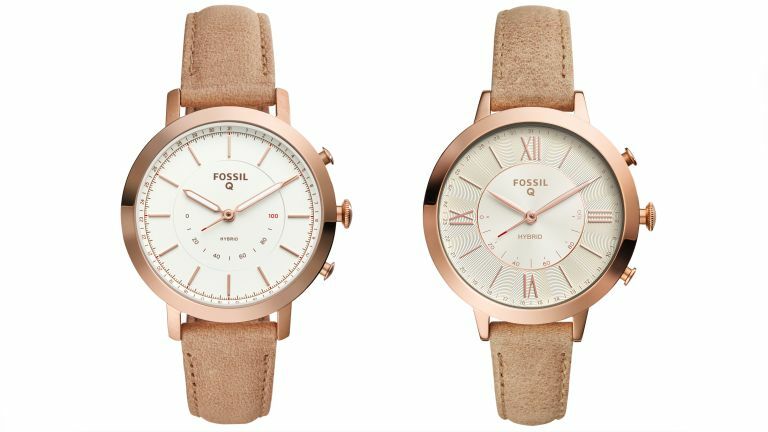 Fossil has unveiled its new range of hybrid smartwatches, which is not only larger than before, with the Q Neely and Q Jacqueline models added to the line-up, but also features the maker's smallest design offering to date. The headline takeaway is that the new Fossil Q range features a re-designed, super thin, 36 millimetre case, which the company states delivers "the most discreet and fashion-forward options for smartwatches yet." A host of new accessories for the range are also now available, including interchangeable straps in leather, silicone and stainless steel. The two new additions to the range, Q Neely and Q Jacqueline "blend analogue design with smart connectivity," and - along with the existing range - feature a range of functions including the ability to get smartphone notifications with vibrations and watch hand animations, as well as track fitness goals, including steps, calories, and sleep. Lastly, Fossil has also rolled out an update to the Fossil Q app, which now features "an easier-to-use, streamlined user interface with a cleanly designed aesthetic." New features include the ability to create customised shortcuts to check commute time or ETA at a pre-chosen destination, as well as activate a stopwatch and access unique visualisations to check activity progress. The new range of Fossil Q hybrid smartwatches go on sale on October 22, 2017. More information can be found at Fossil's official website.